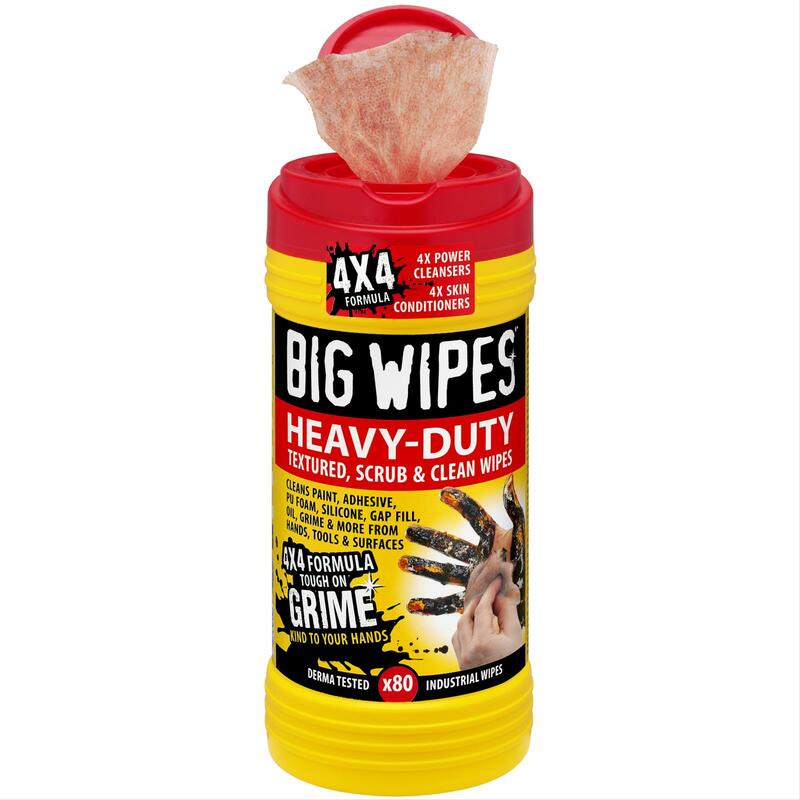 Dual sided "scrub & clean" heavy-duty 4 x 4 wipes offer the fastest deepest clean ever. 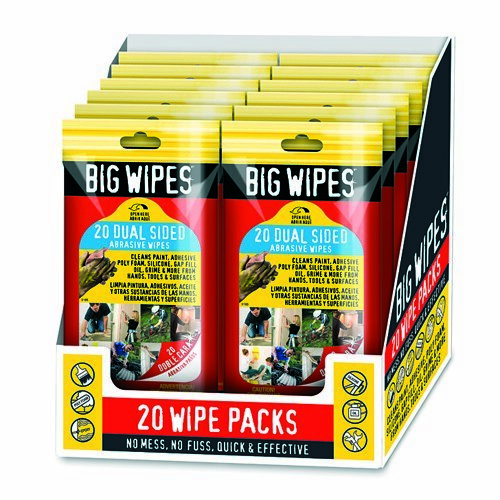 Containing no fewer than four powerful cleaning agents and four dermatologically tested skin conditioners, Big Wipes 4 x 4 cleansing wipes are even tougher on grime and even kinder to your hands. The orange scrub and clean fabric offers fantastic cleaning results that are enhanced by the 4 x 4 formula. Textured and dual-sided, the scrub face of the wipe removes even the most stubborn grime, while the smooth face absorbs any excess. Moreover, it will now feature additional wetting agents to ensure the even distribution of liquid across the fabric. 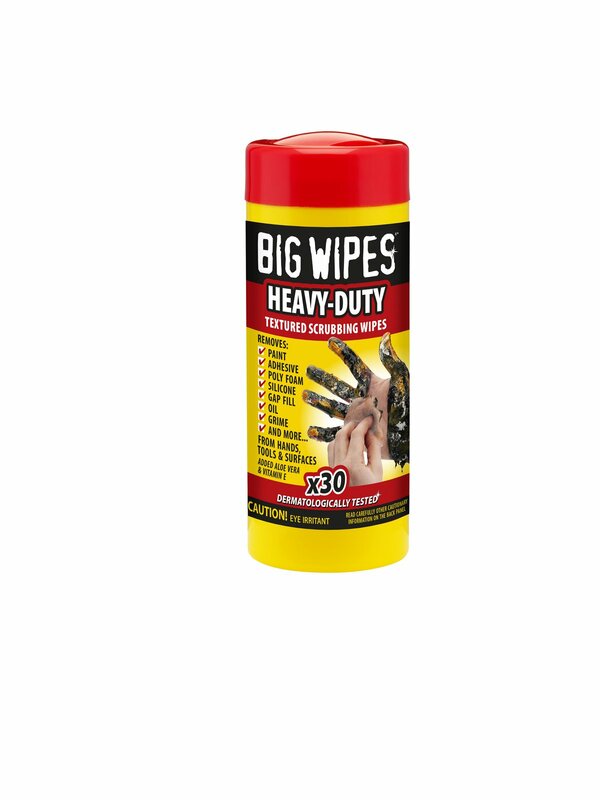 All wipes are dermatologically tested and assessed to the latest EU Regulation 1223/2009 for cosmetic products, USA OSHA 29CFR 1910.1200, and Canadian WHMIS. **ZERO levels of skin irritation recorded during controlled testing by dermatologists. The water-based formula is free from preservatives and biodegradable.